Office Space - Wootton Wawen, Warwickshire. 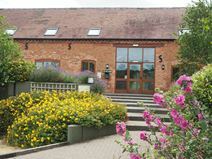 Just one mile from the local trains station, this centre is close to Henley in Arden, within easy reach of Birmingham. These wonderful restored Victorian barns provide a range of offices with great views of the local countryside. This address is sure to impress your clients.